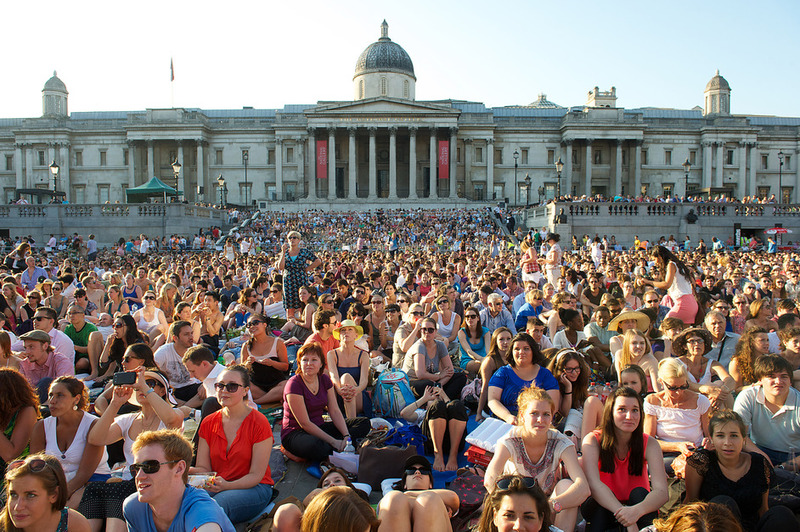 Three Royal Opera House productions are broadcast live on a giant screen in Trafalgar Square in a magnificent free summer event in the heart of London. The BP Big Screen series kicks off with a new production of Swan Lake on 12th June, with choreography by Liam Scarlett. Up next is La bohème on 26th June, the first revival of Richard Jones's production of Puccini's passionate opera. The big screen season is completed by Mozart's tragicomic opera, Don Giovanni on 12th July, as Marc Minkowski conducts a world-class cast led by Mariusz Kwiecien. So, join friends and family, bring a picnic and get there early for pre-performance build-up 30 minutes before the show begins - all for free. What are the best dining options near Royal Opera House BP Big Screens London? Royal Opera House BP Big Screens gyms, sporting activities, health & beauty and fitness. The best pubs near London Royal Opera House BP Big Screens. Royal Opera House BP Big Screens clubs, bars, cabaret nights, casinos and interesting nightlife. Where to have your meeting, conference, exhibition, private dining or training course near Royal Opera House BP Big Screens. From cheap budget accommodation to luxury 5 star hotels see our discounts for Trafalgar Square hotels, including The Trafalgar St. James London, Curio Collection by Hilton from 81% off.